Suzanne Keen, dean of the College and Thomas H. Broadus Professor of English at Washington and Lee University, has been named vice president for academic affairs and dean of faculty at Hamilton College, Clinton, New York. She will begin her new role on July 1, 2018. W&L Provost Marc Conner said Keen will remain in her current position through the current academic year. The process for hiring her replacement will be announced this winter. Keen, who was acting chair of the Department of English from 2003 to 2004, and chair from 2010 to 2012, teaches courses in British fiction and postcolonial literature and a number of first-year and upper-level seminars. She has published widely on the topic of narrative empathy, and authored several books, including a textbook on narrative form and a volume of poetry. In 2008 she received an Outstanding Faculty Award from the State Council of Higher Education of Virginia (SCHEV), one of 12 awarded state-wide. She served as interim dean of the College in 2012-2013 before assuming the position permanently in 2013. 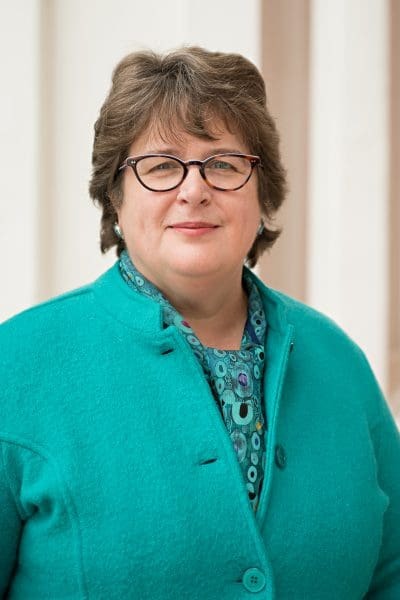 In that role, she hired dozens of faculty, with an emphasis on improving faculty diversity and cultivating a younger generation of campus leaders; created Teacher-Scholar Development Cohorts; added Arabic language instruction and Experiential, Global Learning and Perspectives course designations; carried out strategic planning for the College; advocated for the future of STEM pedagogy; and launched W&L’s Digital Humanities Initiative. In her new role at Hamilton, Keen will serve as the chief academic officer and as the primary voice of the faculty on the president’s senior leadership team. More information about Keen’s appointment is available on the Hamilton College website.